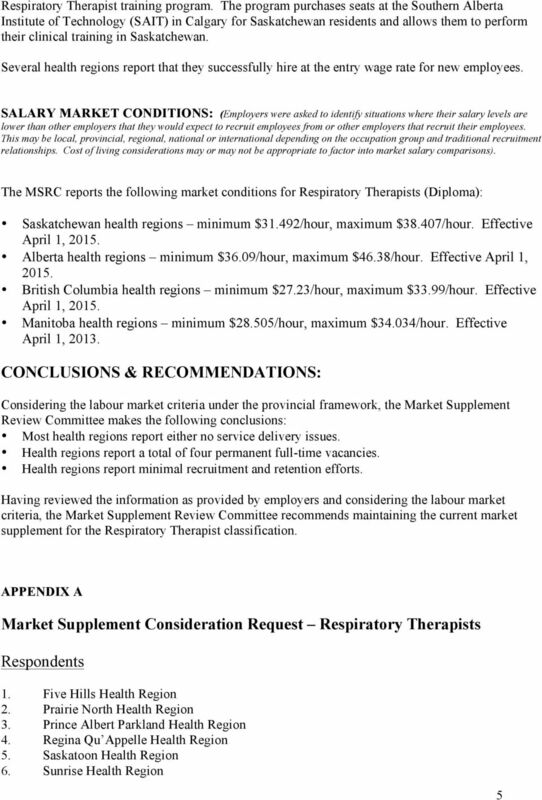 Download "MARKET SUPPLEMENT PROGRAM. 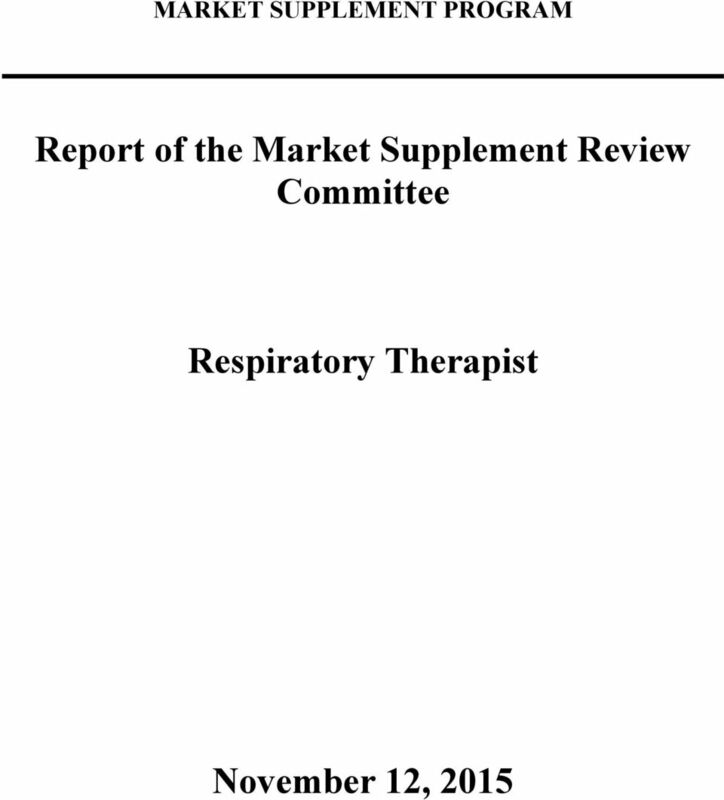 Report of the Market Supplement Review Committee. 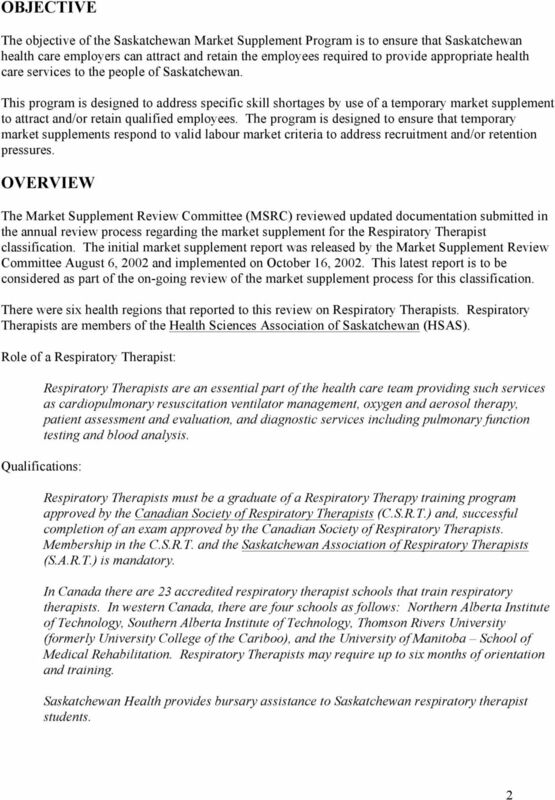 Respiratory Therapist"
SOC 29-1126: Assess, treat, and care for patients with breathing disorders. Assume primary responsibility for all respiratory care modalities, including the supervision of respiratory therapy technicians. As a Veterans Affairs Respiratory Therapist, m helping Veterans o breathe easy. Respiratory Therapy Careers CTAE Resource Network Created by Caleb Allred and Dr. Frank Flanders 2010 Objectives MSHS7-HS-4: Students will differentiate careers available in the field of respiratory care. To provide standardized Supervised Exercise Programs across the province. The goal of Saskatchewan s health care system is to ensure. people have the best possible health and care experience. 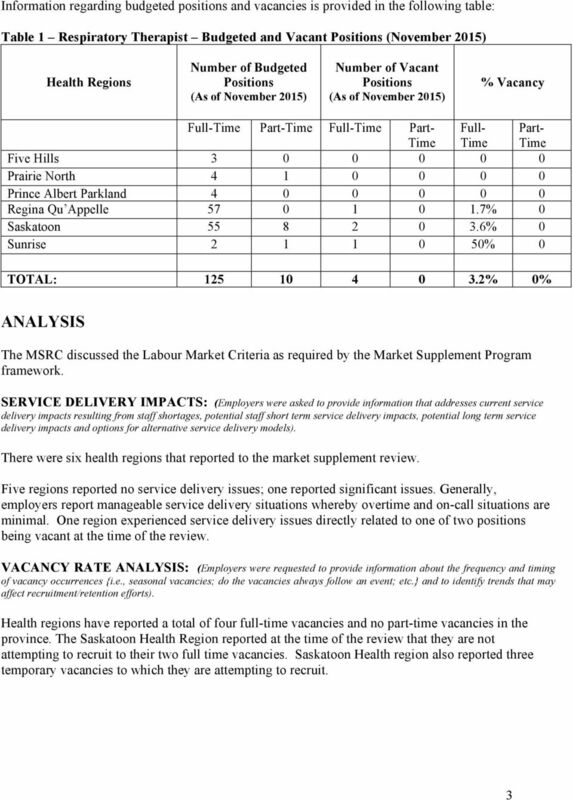 Chapter 34 Chapter 34 Regulating Personal Care Homes for Resident Health and Safety 1.0 MAIN POINTS The Ministry of Health (Ministry) is responsible for regulating personal care homes in the province.